Buying a home is infinitely different than any other type of purchase you will ever make. With an investment this large, you not only need to rely on the advice of industry experts, but you’ll also need to do your own due diligence. The more you know, the less stressful the experience. Here are some of the top things REALTORS® wish buyers knew about the homebuying process. When you choose to work with a REALTOR®, their fiduciary responsibility is to you. This means you have an experienced professional looking out for your best financial interests, and someone who subscribes to the National Association of REALTORS® strict Code of Ethics. Your REALTOR® is contractually bound to do everything they can to protect you while helping you find the home of your dreams. REALTOR® Dawn Brewster, with RE/MAX Real Estate Professionals, says her goal is to build and maintain a strong partnership with all of her clients. Most REALTORS® won’t even begin showing homes without a pre-approval letter. There are several reasons for this that benefit both the REALTOR® and the buyer. For one, a pre-approval letter provides proof of a buyer’s ability to obtain financing, and also a price range a buyer should stay within. This saves both parties a lot of time and frustration during the home search. Brewster says this letter is an important first step for every buyer because it also strengthens their negotiation ability. Today’s buyers are busy and most don’t have the time, energy, or finances to take on a fixer upper or a large remodeling project. While “move-in ready” may be on every house hunting wish list, Brewster says buyers need to be open-minded. Buyers should also be prepared for the inspection process, keeping in mind that there will rarely be a perfect report. Even a brand new home may have something worth noting, so again, the focus needs to be on any major items in the report that are worth negotiating. When you’re searching for a home, especially if it’s your first, you are probably not thinking about the day you will sell it. But, any experienced REALTOR® will advise a buyer to always keep resale top-of-mind. To maximize your value and ensure you are making a wise investment, pay attention to things like location, floorplan, number of bedrooms, storage and closet space, and the functionality of the kitchens and bathrooms. Real estate reality shows continue to top the ratings, but rookie buyers shouldn’t believe everything they see on TV. While these popular programs can make the buying or remodeling process seem pretty simple, there is much more going on behind the scenes that gets left on the cutting room floor. But that doesn’t mean you should stop watching. Home improvement shows have provided buyers with great design inspiration and house hunting education. So, jot down your ideas and questions, and then rely on the professionals for sound advice. The main focus for homeowners and realtors alike when selling a home is to get the best offer on the home within the shortage amount of time possible. Below are five secrets that can help sell your home quickly and with a favorable offer. A home should not be put on the market unless it is 100% presentable, has no pending repairs, is priced appropriately, and is ready for a buyer. Many times, buyers only take couple of months to buy a home. The last thing you want to do is put your home on the market before it is ready to sell as many buyers won’t have a proper perception of your home. They are looking for a home that is ready for them to buy. Sellers will lose out if they market their home before necessary repairs are done. Another important element is pricing your home correctly for the current market. A real estate agent can help you determine the worth of your home. Often homeowners price their homes based on how much they need to make from it instead of how much it’s worth. If your home is overpriced for the market, it will be harder to find a buyer. If it’s underpriced on the other hand, potential buyers might think there are underlying issues within the home. Buyers do not want to buy a home that constantly requires repairs and underpricing a home often gives this perception. The appearance of your home inside and out matters. When potential buyers come to view your home, they start making their decision. It doesn’t matter how big and beautiful your house is, if the yard is unkempt, dust has accumulated, the pool is a mess, and so forth potential buyers will not be attracted to it. You want to get good offers for your home? Make sure it is presentable from the day you put in on the market. Find a local real estate agent to assist in the sale of your home. Find a realtor that will assist you in your ultimate goal; finding a buyer quickly who is willing to offer the best offer. Talk to local realtors, talk to other homeowners, and determine who the professional is that you need to be working with to sell your home. It is important to find a realtor that you have determined to be professional and will do a good job for you. Ask the hard questions. You are paying for the services that a realtor is providing so be sure to get the return on your investment you are looking for. When your home is up for sale it is important to create an environment that is welcoming, easy to show, and comfortable. Buyers often making their decision based on how they feel within the home. Create an environment that makes your home easy to show by ensuring all rooms are accessible, that there is no clutter that hinders getting around the home, that the lighting, and smells within the home are all pleasant. Everybody loves a bargain. But getting one handed to you, gift-wrapped, in this housing market? Fat chance. Limited inventory has boosted prices, and in many cities, sellers have the big end of the stick. It’s rare to see buyers scoring a fabulous house in a desirable neighborhood for thousands of dollars under asking price. So to save some cash, you might feel compelled to make some compromises, try to negotiate, and look for the hidden bargains. But beware of taking your thriftiness too far—because you just might regret it. Read on for eight times bargain hunting can actually backfire. Thinking of just doing this thing on your own? Don’t. “When we talk to clients about the deadly mistakes home buyers make when purchasing a home, No. 1 is buying a home without representation,” says Brian Cournoyer, a Realtor® with DeSelms Real Estate in Franklin, TN. First, it’s important to know that you won’t save anything by skipping the buyer’s agent, because that cost isn’t on you. Typically the seller pays the commission for both the seller’s agent and the buyer’s agent. And if you consider yourself a master negotiator, or think you can search for homes just as well as the next guy, know this: Agents have a host of training and tools designed to find the right properties and get you the best deal. “Everyone thinks they can go online and pull up comps, but they don’t have access to all the real-time information that agents do,” Cournoyer says. OK, so most sellers are in the driver’s seat. But what about sellers who need to offload their home fast? There’s gotta be some of those out there, right? Jen Birmingham, a Realtor® with Coldwell Banker in Petaluma, CA, says one of the biggest mistakes she sees is people counting on short sales to snag a bargain. Buying a home that doesn’t have enough bedrooms, is located two hours from your work, or needs a mountain of money to make it livable is no bargain, even if its list price is far below your budget. The trouble is, in a hot market, buyers often ignore these blazing-red flags, Birmingham says. “What I see is a lot of people wanting so desperately to get into the market that they’re willing to make compromises that may have originally been deal breakers,” she says. Think carefully about your must-haves, and do your best to stick to the list. While it might seem economical to skip a professional home inspection, be aware that what you save now you’ll probably pay for later, Cournoyer says. In older homes, an inspector can discover problems such as termite infestations or crumbling foundations. Even for new builds, it’s wise to hire a pro who can spot material defects or unfinished work in out-of-the-way areas such as crawl spaces or roofs. And there’s a double whammy: Forgoing an inspection also means you lose the ability to renegotiate if, say, you notice evidence of a leaky roof during the final walk-through. Back when buyers held court, sellers routinely ended up including major appliances and other household goods in the contract. Anything to seal the deal, right? Well, those days are long gone, Cournoyer warns. “Buyers tend to lose touch with reason a little bit, and think they should get everything,” he says. Want to win that house? Make your asks equal to the price you’re offering. Certainly, if the home inspection turns up a major issue requiring immediate attention, buyers should ask that a repair be done prior to closing. But don’t assume a seller needs to revamp the entire property or make cosmetic changes. When Birmingham suggested this could anger the seller and limit their chances of getting the home, the buyers wouldn’t budge. Guess what? They didn’t get the house. “The seller had three other offers, and didn’t want to deal with my buyers because their demands were so off the wall and unrealistic,” she says. Some buyers figure that any listing that’s been up for more than a couple of weeks must have a desperate seller behind it. But, Birmingham notes, a low offer will not only cost you credibility in the seller’s eyes, but could also spark a bidding war. When you’re one of many offers on the table, it’s important to stand out in a positive way, Cournoyer says. Birmingham agrees that ignoring your agent usually means missing out on a house. “In most situations, if the house is priced properly, a good Realtor is communicating with the listing agent about how many offers are coming in,” she explains. The other day I received a call about a listing of mine from a buyer named Kevin. He requested a showing as soon as possible. Unfortunately, even though the home had been on the market only a short time, it was already under contract. Kevin was clearly disappointed with this news. “I assume you are not working with a buyer’s agent,’’ I said. News flash: The most important time to start working with a buyer’s agent is at the very beginning of your search. If Kevin had been working with an experienced buyer’s agent, he would not only have been informed about my listing more than a week ago, but also educated on how the home-buying process works. He would have known that timing is key, because of the limited number of homes on the market and high demand. His buyer’s agent would have also told him that offers were due at noon on Monday, two days before he called me. A good buyer’s agent could have been the difference between Kevin missing out on this house and owning his dream home. Like any important consideration, research and education are essential. Buying a home can be very exciting, but also extremely overwhelming. It is important to understand how the process works. What baffles me is that many people will spend hours, even days, researching refrigerators or coffee makers, but when it comes to the largest investment of their lives, a house, they don’t take the time to find someone who can help guide them through this complex process. Although the Internet can be a great resource, it’s not a substitute for working with an experienced agent. The job of a buyer’s agent is to protect their client’s interests. 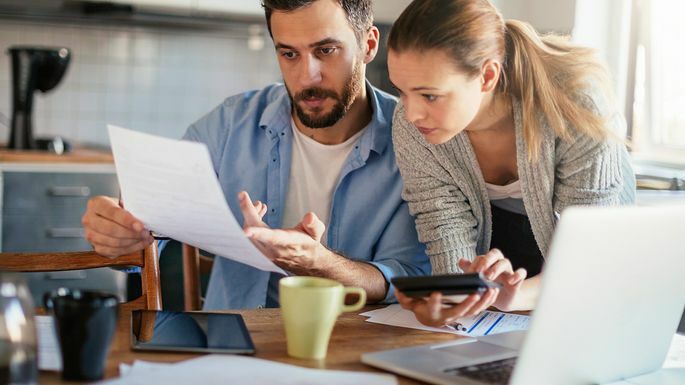 A buyer’s agent’s first step is to set up a meeting to explain everything involved with a home purchase, beginning with making sure you speak with a lender to understand what you can afford. I cannot tell you how many buyers are out looking at houses every weekend, not even knowing how much they can really afford. That’s a waste of time. Experienced buyer’s agents explore your motivation for purchasing by asking lots of questions: How far away is your day care? How long of a commute can you tolerate? They will ask whether you prefer to be walking distance from the center of town or out in the privacy of the suburbs. They will ask what your nonnegotiables are when it comes to choosing a home. Based on your answers, your agent will make suggestions as to which communities and what types of homes might work best for you. They will listen and help you find an area that will satisfy your needs and financial limitations. They will educate you on what you can get for your money in each community, and once you find a home, will advise you on how to craft a strong offer. They handle all of the negotiations and the paperwork right through to closing. Your agent will also have a list of trusted service providers they can recommend, such as inspectors, lawyers, lenders, electricians, and movers. Buyer representation will make a tremendous difference in your experience. Unlike Kevin, who missed the offer deadline, you will have all of the information you need at your disposal — when you need it. Without an agent, you may miss out on what could be the perfect home for your family. Don’t be like Kevin. Contact a good buyer agent to help you.